One of the things I have always tried to do as an educator is to teach kids an appreciation for God's creation. When kids are taught to revere the wonders of nature, that respect carries over to other aspects of their lives. Nature Girl: A Guide to Going Green is designed especially for girls and encourages readers to be "green girls" for God, even while having a spa day. Each chapter includes activities, quizzes, crafts, recipes, science experiments, and more. Topics covered show girls the varied aspects of nature, like water, air, energy, recycling, and renewing the earth. Scripture verses are also featured throughout the book. 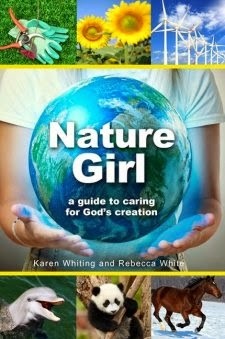 A great gift idea, Nature Girl along with a few craft supplies and a nature journal would delight any tween or teen girl. "Part of the bestselling Faithgirlz brand, Nature Girl: A Guide to Going Green is a fun read for any girl who enjoys science or the outdoors and a great resource for parents, homeschoolers, and educators."